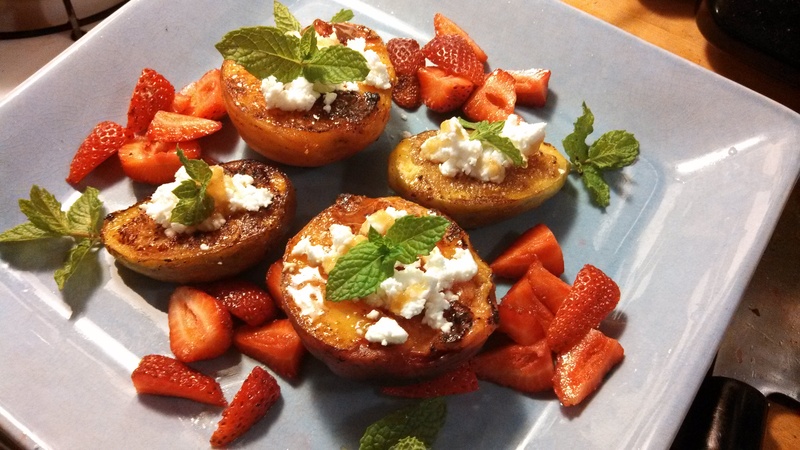 Locavore Potluck on Tuesday August 13th: Eat local with us! Today I found out that we actually got the ear of the much discussed SF Chronicle writer, and she published a response to readers regarding her story, which includes a direct link to our post. I’m not going to comment on her calculated response; I have said enough! We will have local sea salt, herbs, chili pepper, olive oil and apple cider vinegar on hand in case you need some help in the flavor department. This will be a casual event with good food, good people, and possibly a trouble-making baby goat. Families are welcome! 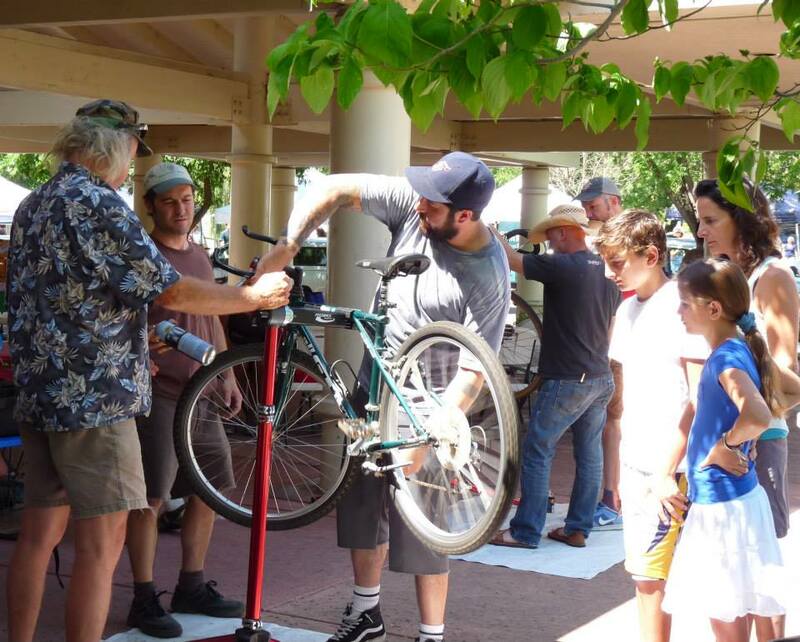 Location has been changed to the Mendocino Community Center on School Street in Mendocino. What to bring? 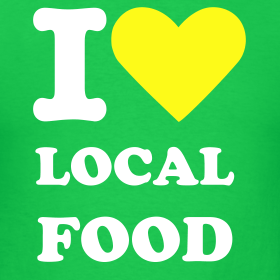 Anything and everything local! 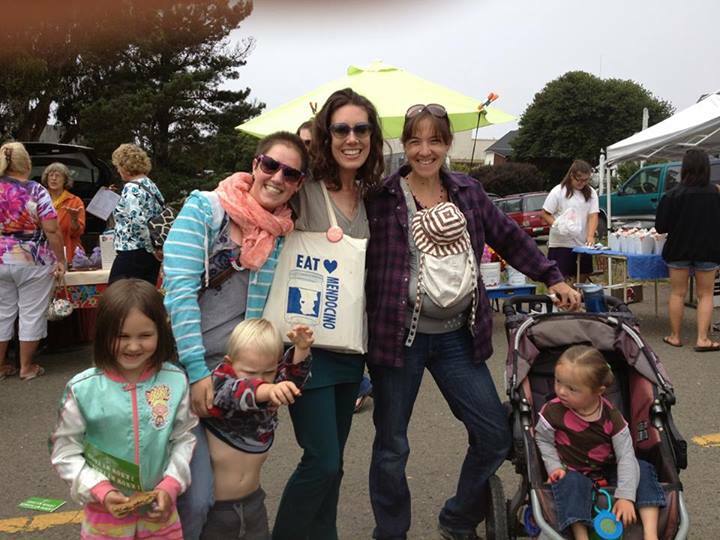 Categories: Events, Uncategorized | Tags: eat local, Fort Bragg, locavore, Mendocino Community Center, potluck | Permalink. I am very lucky not to get poison oak, but many people suffer miserably at this time of year. So, this blog post is a Public Service Announcement: relief from poison oak is within reach, literally. At the Not-So-Simple Living Fair this weekend, I took a mind-blowing workshop with a native Pomo woman named Corine Pearce, whose vast knowledge about local ecology is museum-worthy. She spoke about many different local plants and their native uses with great respect and admiration, but manzanita is her favorite. Every single part of the plant has use, from the berries and the bark. I will soon share recipes for manzanita cider, “Love Tea,” and other exciting concoctions. 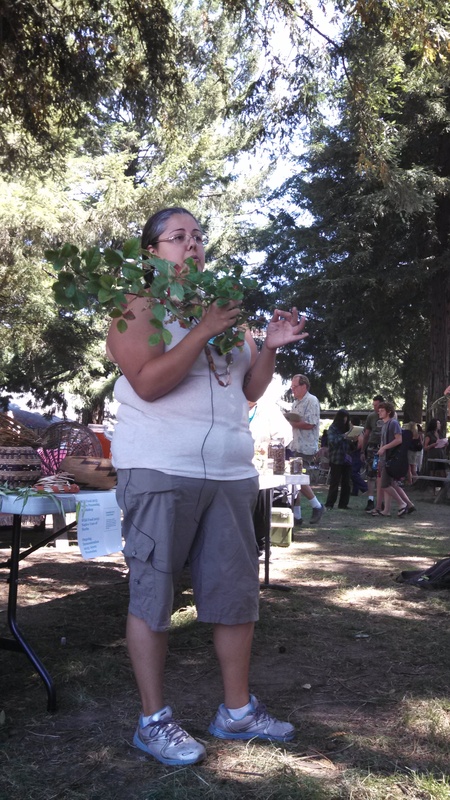 Here Corine shocks the audience by wielding a branch of poison oak and discussing it’s many native uses and beneficial properties. But, that is another story, too. today, I will share the simple cure for poison oak. 1. 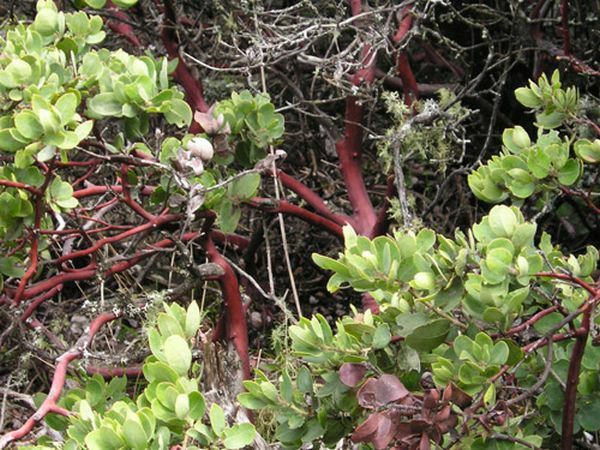 Harvest a live branch from a manzanita tree. Harvest as-is, with leaves on. 2. Boil the entire branch with leaves on in a large pot until the water turns black. 3. Pour the water from the pot into a lukewarm bath. Soak affected areas for treatment of poison oak. For those of you who get poison oak, I would love to hear if this works. Let me know if you try it. Categories: Plant Medicine, Uncategorized | Tags: cure, daily report, how to, how to treat poison oak, manzanita, Not So Simple Living Fair, plant medicine, poison oak, relief, remedy, treatment, treatment of poison oak, wild plants | Permalink. We had to make all kinds of difficult decisions this weekend at the Not-So-Simple Living Fair at the Mendocino County Fairgrounds in Boonville. With an impressive schedule of practical and inspiring workshops we had to choose between acorn processing, goat nutrition, wild foods, sourdough baking, green building, cheesemaking, chicken processing and so, so, so much more. We chose the ‘divide and conquer’ approach and tried to glean as much knowledge as possible. This gathering is not your typical festival. It’s an outdoor classroom and quite unique in that all the attendees are truly committed to learning and teaching (not just running around in feather earrings). It was awesome to be surrounded by so many friends, mentors and neighbors who are living closer to the land every day. I don’t think I’ll be wearing a dress made out of a tanned hide anytime soon, but I am completely rejuvenated by spending two days with people who don’t want to go “back to the land,” but are moving forward with the land, and understand the value of sharing knowledge, information and skills. There is no way I can summarize all the specific learnings of this weekend, and I will have to share more in upcoming posts (like how to cure poison oak, and how to harvest and roast bay nuts.) For now, here’s a peek at a very full and incredible weekend. Click on the pics below to view them in a slideshow with captions. The day began with a delivery of fresh goat milk, straight from the udder and still warm upon arrival. A delightful father-daughter sourdough baking workshop in which I learned the secrets to dense rye bread. Really impressive sheep shearing demo followed by a fantastic talk on the philosophy of animal management. Snack time: First bite into the first pink pearl apple of the year! Locavores lunchtime. In addition to bringing our food, we also brough our own plates, etc. as they aim to make it a zero waste event. Afternoon workshop on cheese-making so that i know what to do with the forthcoming glut of milk. Gowan meets her future self – the maker of this plough, designed for draft horses. These two nerded out about metalworking and farming for over an hour so I took a hula hooping break. Local heirloom wheat grown by the Mendocino Grain Project. Doug Mosel of the Mendocino Grain Project talks about the “Joy of Local Grain.” Got some new ideas about experimenting with our grain share – including tortillas and wheat grass. The Preserved Foods display section. Everyone’s a winner here with these gorgeous canned/pickled/preserved goodies. The Native Plants workshop was an explosion of information about foraging for basketmaking, food, medicinal plants, and spiritual practices. Pictured here is elderberry – edible only in small doses when fresh. More on that in a separate blog entry soon. Tamara Wilder of Paleotechnics provided a wonderful guide to year-round harvesting of wild foods. Wrapped up the day with an olive curing workshop. I figure it’s my genetic duty to know this. Categories: Events, Foraging, Preserving Food, Uncategorized | Tags: Boonville, daily report, Farmers' Markets, foraging, Gowan's Oak Tree, mendocino county fairgrounds, Not So Simple Living Fair, primitive skills, workshops | Permalink. My inner cup is flooded with joy and gratitude. What a week it has been. Beginning with the big article on Sunday, the week only got more momentous as it went on, which is hard to believe. Today’s major news is that I have negotiated a deal to expand the footprint of the Mendocino Farmers’ Market into a grassy field adjacent to the market, which will allow many new vendors to join with varied local products and will provide an open lawn where people can park their bikes and children can play and eat fresh strawberries. While at the market today, I got to visit with some of my favorite ladyfriends and felt so lucky to be part of something that is one of the last remaining forms of “the commons.” The farmers’ market is a truly beautiful hub of friendship, commerce and togetherness in a world where much of life can feel separate and fragmented. Also, these women and their squirrely kin are now the official models of the market! 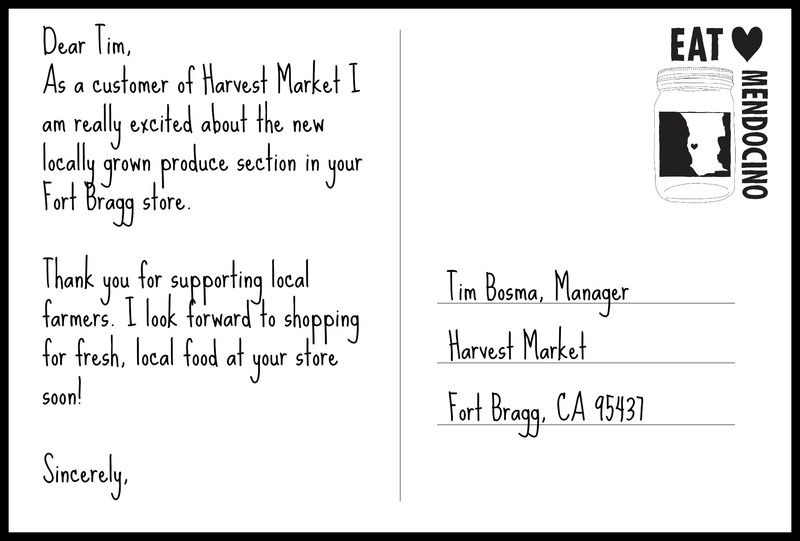 Amidst the bustle, over 30 customers and farmers signed our postcards to Harvest Market, and I can’t wait to send all that local food love their way! I talked to a lot of people about the SF Chronicle article and was really moved by so many saying how much they appreciated the article, and to hear that organizations across the country have been sharing it to shine the light on Mendocino County’s outstanding local food efforts. This totally made up for all the late nights and keyboard weary wrists. I’m an 8th grade English teacher at Fort Bragg Middle School looking for some help. At the beginning of the school year we spend about 7 weeks reading The Omnivore’s Dilemma and talking about food in the US. Towards the end of the book, Pollan writes about local, sustainable and do-it-yourself food. I was hoping that one of you, or both, might be interested in coming and speaking to my students toward the end of September-beginning of October. Also, I plan on having my students complete some sort of multi-media project about farmers in Mendo County, and was wondering if you knew anyone who might be interested in being interviewed, photographed, etc. I have scheduled a few Farmers’ Market field trips so students can get pictures there, but I know when it’s busy, the last thing a farmer wants is to talk to silly 8th graders. Thanks so much for taking the time to read this – I hope we can work something out! P.S. The recent SF Chronicle article, and your response, have now found their way into my curriculum! This gave me goosebumps. 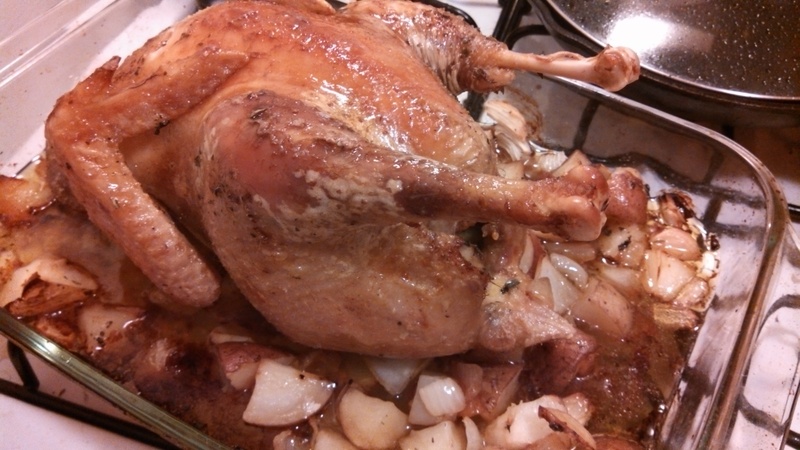 And then I roasted a chicken to celebrate. We have received a lot of invitations to speak at events or meet with school/community groups, and Gowan works with high school students every day at the Learning Garden in Fort Bragg. 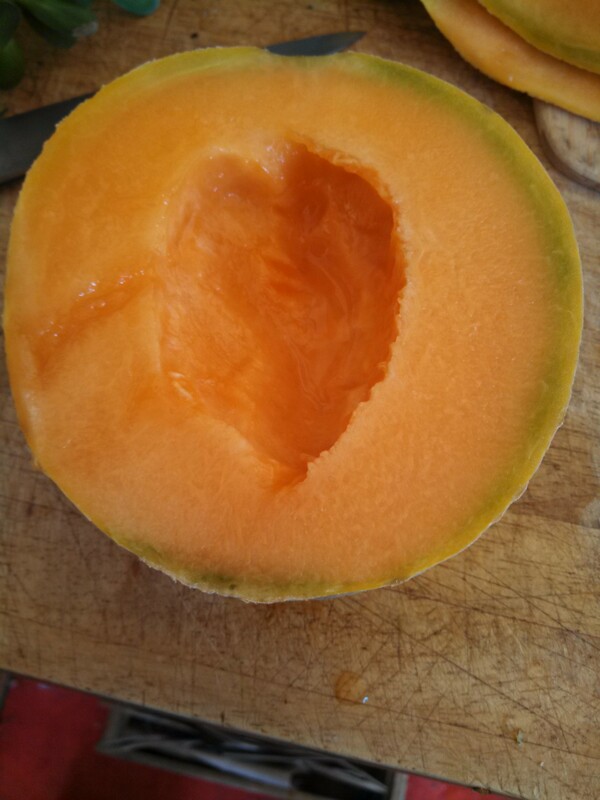 We know that education is a profoundly important part of the local food system and the schools are a natural link. But, this letter really got to me. First of all, I wish I had this teacher as an 8th grader. Lucky students. And I know the farmers will be really touched to have the next generation of eaters taking an interest in the farming life. Upon reading this, I could see all these different dots connecting at once and it finally registered that this project has reached new heights in impact and relevance, on an extremely meaningful scale. The number of blog hits is only so important as to how many people actually give a damn. And, there are so many of you who do. You follow us daily (which is enough to make both of us blush.) You care enough to think in terms of miles when you look at your dinner plate, to ask questions, to talk about where your food comes from with your family or neighbors, to shop at the farmers’ markets even when it’s windy and foggy, to cook from scratch and to grow your own food… And, then there are some that try to make local food relevant (and even cool) to 8th graders – a tough audience at best. It’s totally goosebump-inducing. To know that we have been able to elevate the discussion around local food, and to motivate others to create new relationships with food isn’t unforeseen, yet it’s still enough to make me take pause. Honestly, I would love to gather around the stove with Michael Pollan and writer from the SF Chronicle and make dinner and talk all night. In a way, that is what we’re doing. With different ingredients in different ways we are all cooking up the future of food. Our story is making local food real and tangible right now, every day for our neighbors and people all around the country, and world. It’s so fricken’ cool (I am learning the names of new countries through our blog stats). It’s been a good week, and it’s not even over, yet. Now I need to sleep to get ready for a very full day at the Not So Simple Living Fair in Boonville tomorrow. 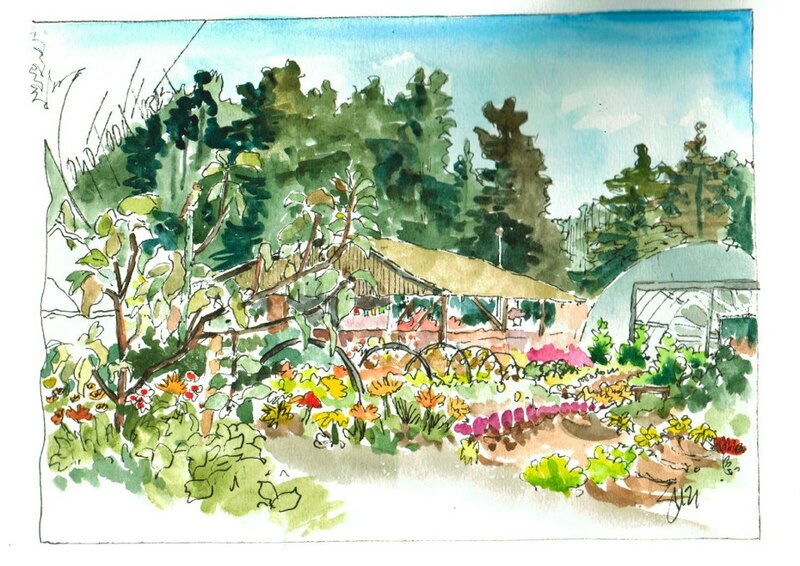 Categories: Farmers' Market, Musings | Tags: curriculum, daily report, Fort Bragg, local food, mendocino, michael pollan, Not So Simple Living Fair, Teacher | Permalink.